There is quite a few problems that surface in peak winter months. One of these is heat pump blowing cool air into the rooms. Before you place service call, you have to be sure of certain things. •	Firstly, you should check the vent’s temperature. It may be below your body’s temperature, although the heat pump is working to produce heat for the rooms. 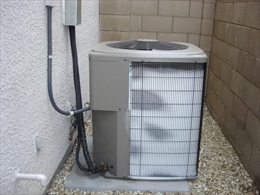 A heat pump is not as effective as a gas or an electric furnace in peak winter season. This is because it is not able to source enough heat from the atmosphere. The warm air produced by a heat pump can be categorized as lukewarm. •	There could another instance when the air blowing out of heat pump would feel cool. This is seen when the unit goes into defrost cycle. It is not unusual for the heat pump to get frosted in winter. You will then see a layer of ice on the outdoor coils. In such occasions the defrost cycle is activated to melt the ice. When it does this, cold air coming out of your vents before the heat pump begins heating again. •	Check if the thermostat is set in heating mode. •	Check if the heat pump is reaching the temperature that has been set. And also if it cycles off on reaching the set temperature.